The Count of Barcelona (Catalan: Comte de Barcelona, Spanish: Conde de Barcelona, Latin: Comites Barcinonenses) was the ruler of Catalonia for much of Catalan history, from the 9th until the 15th century. 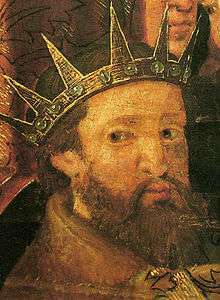 The County of Barcelona was created by Charlemagne after he had conquered lands north of the river Ebro. 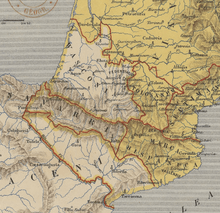 These lands, called the Marca Hispanica, were partitioned into various counties, of which the Count of Barcelona, usually holding other counties simultaneously, eventually obtained the primacy over the region. As the county became hereditary in one family, the bond of the counts to their Frankish overlords loosened, especially after the Capetian dynasty supplanted the Carolingians. In the 12th century the Counts formed a dynastic union with the Kingdom of Aragon, merging the two realms under a single ruler. In 1258, the king of France relinquished his feudal authority over the County in the Treaty of Corbeil. Barcelona remained, as a part of the Principality of Catalonia, part of the Crown of Aragon when the latter around 1500 entered into a union with the Crown of Castile, thereby forming the Spanish Monarchy. Catalonia maintained its own laws, institutions, taxes and privileges until they were removed after the War of the Spanish Succession in the 18th century. Count of Barcelona remained one of the many hereditary titles of the Spanish monarchy. 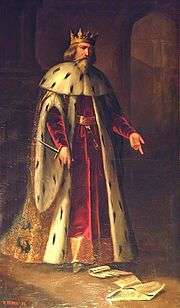 In the 20th century, the title regained some prominence when Juan de Borbón, the exiled heir to the Spanish throne, adopted the title of Count of Barcelona. 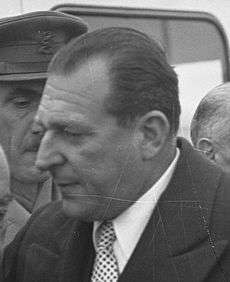 In doing so, he claimed a historical royal title without claiming to be the current king of Spain, especially after his son Juan Carlos became the prospective successor of the then-ruler of Spain, Francisco Franco. In 1977, after Juan Carlos had become King upon Franco's death in 1975, he officially awarded the title of Count of Barcelona to his father, who had renounced his rights to the throne. Juan held that title until his death in 1993, when it reverted to the King who has held it ever since. Juan de Borbón's widow used the title Countess of Barcelona until her death in 2000. Berà, Count of Barcelona 801-820 son of Guilhèm I of Razès, brother of Bello of Razès, also Count of Razès and Conflent (790-820), Girona, Besalú, Ausona (812/817-820), deposed. (Bernat I) 826-832 son of William of Gellone, also margrave of Septimania (834-835) and Imperial Chamberlain (829-830), deposed. 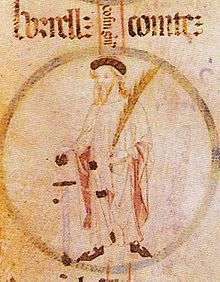 Berenguer 832-835 also Count of Toulouse. (Bernat I) 836-844 restored, executed on orders of Charles the Bald. Sunifred 844-848 son or son-in-law of Belló of Carcassone, also Count of Ausona, Besalú, Girona, Narbonne, Agde, Béziers, Lodève, Melgueil, Cerdanya, Urgell, Conflent and Nîmes. 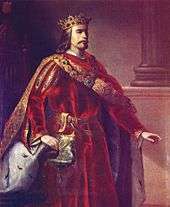 (Guillem) 848-850 son of Bernard I, also Count of Toulouse (844-850), rebelled and was killed. Aleran 850-852 also Count of Empúries and Roussillon and Margrave of Septimania. 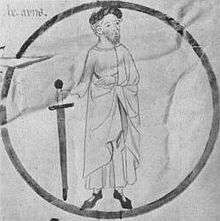 Odalric 852-858 son of Hunfrid, Margrave of Istria, also Count of Girona, Roussillon, Empúries and Margrave of Septimania. 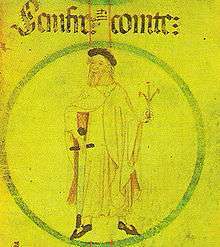 Humfrid 858-864 son of Hunfrid II, Duke of Rhaetia, also Count of Girona, Empúries, Roussillon, and Narbonne and Margrave of Gothia. 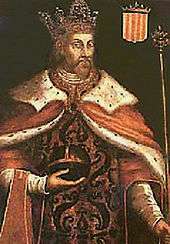 (Bernat II) 865-878 son of Bernard of Poitiers also Count of Girona and Margrave of Gothia and Septimania, rebelled. The succession of Ramon Berenguer IV and Petronilla led to the creation of the Crown of Aragon. 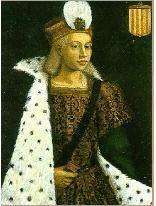 Martin was the last direct descendant of Wilfred the Hairy to rule; died without legitimate heirs (interregnum 31 May 1410 – 24 June 1412). By the Compromise of Caspe of 1412 the County of Barcelona and all its associated dominions passed to a branch of the House of Trastámara. The County of Barcelona formed a constituent part of the Crown of Spain under the rule of the House of Habsburg, until the Nueva Planta decrees (1707 and 1716), when Philip de Bourbon declared that all the territories from the Crown of Aragon should merge into Castile, building the centralized Kingdom of Spain. In Barcelona this was promulgated in 1716, and the title of Count of Barcelona became one of the many unused hereditary titles of the modern Spanish monarchy.